Catch up on What I Ate in Maine, along with my Beach to Beacon 10K race report, which is what brought me to New England to begin with. 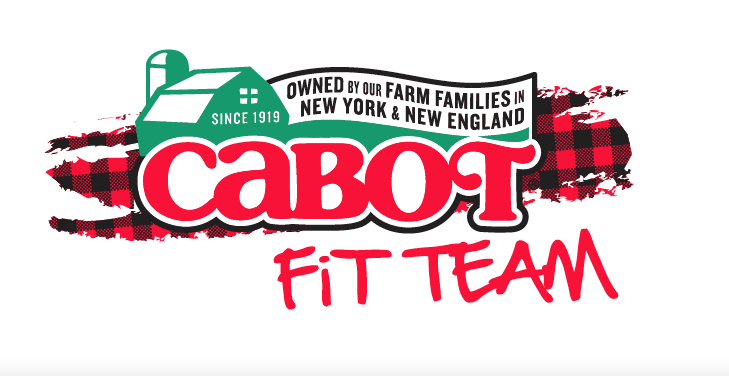 My time with #CabotFit this year was amazing - we saw the beach and farms and the country and the coast. It was incredible how much we experienced in a single long weekend. After a late-night arrival and a delicious breakfast at the inn, the team headed out to Pineland Farms. I was really looking forward to the tour, because it's the Cabot farmers who are part of the coop that make this trip possible, and they're the heart of the organization. All of the profits go back to them, and they are the start of the delicious cheese I enjoy so very much. So we took to the farm! It was a short drive from our hotel, but a world away from Portland. It was expansive, sweeping and bucolic; basically everything you think of when you think country. We started our day in the building dedicated to collecting milk from the dairies, pasteurizing the milk and then making it into delicious, delicious cheese. We had a rousing discussion on the value of raw milk consumption and cheeses, the consensus being it's only damaging if you're immune compromised and not careful with handling it, or it came from a questionable supplier. Also, raw milk doesn't make for the best cheese when creating things like baby swiss, which rely upon not having competing bacterial in order to create the holes in the cheese we all recognize. I also learned there are five regional variances of cheddar cheese. Who knew? After that, we went out to the dairy barn to meet the ladies working hard at making the ingredients for our favorite cheeses. Fun fact - dairy cows get milked perhaps 20 minutes per day. The rest of the farmers' time is spent securing the comfort of the animal to ensure they're not stressed. That includes keeping them cool, dry, hydrated and fed. The barn was incredibly clean and the cows were rather chill. They let us pet them and take selfies without much incident. I did get licked, more than once, but I'm going to take that as a compliment. Next up, we met Hemi, an award-winning Holstein dairy cow that produced 165 pounds of milk per day and is one of only a handful of such remarkable animals in the world. Next up was the calf barn! There were baby cows birthed just two days before. They were adorable and very friendly. It turns out they like getting scratches, just like Napoleon. Before watching the moon rise over Cape Elizabeth just steps from our hotel. I then went in search of wifi and found myself at Allagash Brewing, which was one of the strangest brewery experiences I've ever been on. It's a massive, impressively appointed brew pub with indoor and outdoor seating alike and taps filled with rare beers ... that you can't buy. All visitors are invited to a free tasting, but after that, no more. You can buy beer to take home with you, along with merchandise, but nothing more than that. So I had my tasting flight and left. Truthfully, I did not particularly enjoy the beverages. The Allagash White is why I came - it's a standard brew that you can get nearly anywhere at home. The other three were strange flavors - for example, the Fluxus boasted 700 pounds of maple syrup. I tasted none of that. One of the dark beers tasted like blue cheese. No thanks. So instead, I walked across the street to Foundation Brewing, which was seriously a hidden gem. Whitney and I followed the crowds over to a parking lot in an industrial area. I got us each a flight of four beers, which was $16 was a steal. And it was amazing, delicious beer. From the Wanderlust to the Epiphany, it was hard to believe the place had only been operating a year. Every beer was well-balanced and satisfying. I would have stayed for a pint if we didn't have somewhere to be. As you can imagine, I only want to see more. Thanks for an awesome trip, Cabot Creamery! What a fun time you had in Maine!! !